Wind & Solar Powered Houseboats. The sun power of solar panels for energy. Is the thought of wind & solar powered houseboats appealing to you? Are you thinking about reducing your costs on fuel & electricity, or want a renewable energy source, than a Green Houseboat is for you. To put it simply, you either PRODUCE energy, or you CONSUME energy. 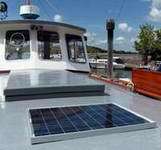 You can share your wind or solar powered houseboat experiences here. Should you consider going to Green Energy? Which is Better, Wind Power or Solar Panels? Readers Experiences, Stories, Tips, and Ideas. Where & What to Buy for reliable efficient systems. Should every houseboat have a renewable energy system installed, and the truthful answer is YES, however each houseboat owner should have realistic demands & expectations on wind or solar power capabilities. You can't expect a tiny 10 watt Solar Panel or a small Wind Generator to power an Air Conditioning unit for the whole weekend at anchor, yet you don't want to install (2) 80 watt Solar Panels to simply keep your batteries topped up (or trickle charge) while you're not there. 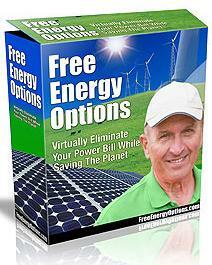 Are you tired of paying $$$ for an unnecessary generator fuel bill? Do you want to become "self-sufficient" for longer periods at anchor? You want to pollute less, and help save the environment for your kids? You want some safe, clean, quiet, and renewable energy for your boat? You want to be a liveaboard "on the hook", and not be fuel dependent? You're tired of running your engine to try and recharge the batteries? Did you truthfully answer Yes to more than two questions? Than you will have to seriously consider adding some "clean power" to your houseboat. You will discover some amazing possibilities, and the savings will make you wonder why you didn't do it sooner! Millions of boaters can't be wrong! 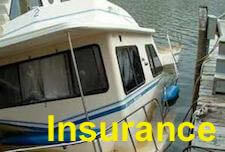 Which is better, that's a frequently asked question, and the truth is that both have a place on your houseboat. Both types have advantages and disadvantages, but generally speaking, when it's sunny, there's less wind, and when there's less sun, there's more wind. Solar Panels generate power on the average of 5-7 hours a day, and only provide peak power during sunny conditions. Wind Generators can generate power all day and all night long, depending on the wind speed and conditions. 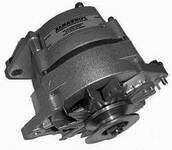 High Output Alternators aren't a clean alternative, yet can help to charge your batteries much quicker than standard alternators. If you only install one or the other, you will miss out on either the wind or the sun, so it all comes down to your demands and expectations. We'll cover both types in greater detail and look at your load requirements. 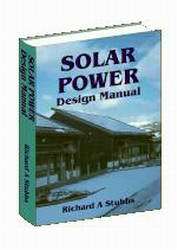 If you're a person that likes to fully understand the topic, and like to read a good book, than you'll find a collection of Wind & Solar Power books are available here. The PROS are that both wind and solar power are easy to install, reliable, low or maintenance free, safe, and both will last for years. Both systems can supply clean and problem free power to help you become self-sufficient. From a "green living" point of view, they are both eco-friendly for the environment, and will increase the pleasure and resale value of your houseboat. 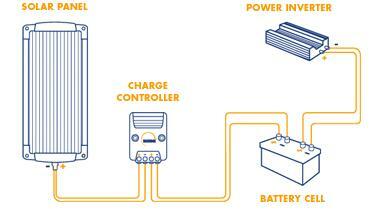 The CONS are that they require a little bit of system planning to choose the best package to handle your power needs. And price wise, they are now very affordable, since the prices have dropped immensely in the last decade. Depending on the size of your houseboat (or power requirements) you can spend anywhere from 100, 1000, or 10,000 dollars for a complete package or system. If you were to look around your houseboat, you would realize that there is many items that consume energy, and some are big power hogs. Some of the easily changed items are things like lighting, TV's, anchor lights, stereo amplifiers, and so many more. One of the biggest power consuming items on a houseboat has to be the refrigerator. If your due to change it, you can definitely take advantage of the new "energy saving" models, and this can make a world of difference in your daily power consumption. At the very least, make sure you're fixing appliances to prevent wasteful energy consumption. New LED bulbs for the Anchor Light can save up to 90% of the power. Newer flat LCD screen TV's can also reduce your consumption by 80%. LED lighting & Compact Fluorescent Bulbs can help you reduce by 90%. You're stereo has an external amplifier, try not using it while at anchor. Lowering the fridge temperature can reduce the compressor run time. 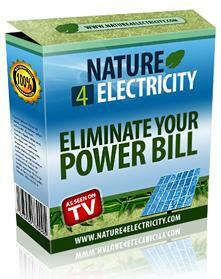 Do you have some other solar/energy tips to help consume less energy? 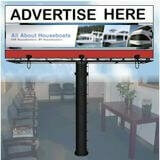 You maybe interested in reading some of our Green Powered Houseboat articles submitted by our readers and visitors. They're filled with a wealth of tips, ideas and experiences. What better than having real-life examples to help plan & build your ideal system. 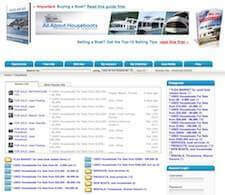 You'll find excellent Green Solar Wind Powered Houseboat articles here. If you presently use a Wind Generator or Solar Panels on your houseboat now, or if you are contemplating adding some to your boat, please share your valuable real-life experience with us here. We will be all grateful to you for taking the time to tell us about it. You're interested in producing clean renewable energy, and wondering if it's complicated to do. 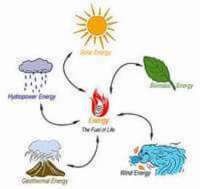 You can see by the diagram below that all you require is a Solar Panel (or Wind Generator) and a Charge Controller to start producing your own power. The power that you generate is then stored in a Battery (or batteries) and can be used for the DC power circuit, or sent to a Power Inverter (converts DC to AC voltage) to power the houseboats 120/240 volt appliances or accessories. For a Wind Generator system, simply swap out the "solar panel" in the above diagram, and insert the Wind Power Generator in its place. In order to keep things simple, we will provide a quick overview here of the steps involved without getting overly technical. We will look at three factors to know in order to plan/install a reliable efficient system. 1) You figure out the daily electrical use of all the equipment, appliances, and accessories. The number that you need is the "watt/hours" to start. 2) Once you know that number, you decide on the size of the Wind and/or Solar Panels needed to supply the watt/hours per day. 3) If you produce that power, you need to be able to effectively "store the power" with good quality deep-cycle storage batteries for later use. 4) The rest is simply connecting this stored power, from the houseboats battery banks, to the 12 volt or 120 volt distribution system to power appliances & accessories. If you're interested in fully calculating your requirements, you will find the following list below of excellent books on planning, implementing, and the savings achieved through using Green Energy. If you're a technical type person like me, who likes to read and fully understand a subject, than you will find the following eBooks of interest to you. The range of topics range from building your own panels, to getting yourself completely off the electrical grid. 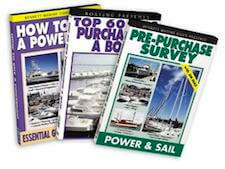 Many of these books are geared towards power for homes, yet the same principles will apply to Houseboats, RV's, Sailboats, Trailers, Cottages etc. Simply click on an image to learn more about the books contents. If you get a book, and you than decide to add some clean renewable energy onto your houseboat, do please take some photo's and come to share it all with us here. Nothing better than seeing successful projects. Almost forgot, most of these books have a "money back guarantee". You will find a list of the good reliable brands and manufacturers to help make your transition into Wind Power & Solar Energy a simple one. There's also a list of some "optional equipment & supplies" to consider. 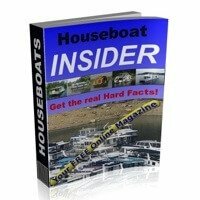 AC-DC Power Inverter and Battery installation in Houseboats?